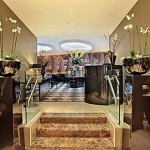 Enjoy a luxurious champagne afternoon tea at the Montcalm Hotel, a 5 star venue in one of London’s most exclusive areas. 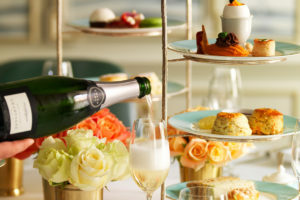 Afternoon tea at the Montcalm is served in the stylish and contemporary surrounds of The Crescent Restaurant and Lounge situated in the heart of the Montcalm Hotel. Perfectly placed adjacent to the main hotel lobby, light streams in from four large sky lights on to a magnificent marble floor making this a very spacious and airy location for a relaxing afternoon. A tradition afternoon tea is served at the Montcalm. Choose from a selection of fresh, finger cut sandwiches, delicate plain and fruit miniature scones served with everyone’s favourite clotted cream and strawberry jam. Other sweet treats include dainty fruit tartlets. A variety of loose leaf Jing tea is offered to accompany your tea or why not spoil yourself with a glass of sparkling champagne. 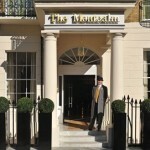 Offering elegant yet relaxed dining, the Crescent at the Montcalm Hotel, London is a convenient 3 minutes’ walk from Marble Arch Tube Station. 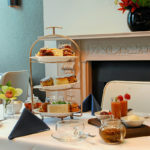 Afternoon tea for TWO is £49. (Was previously £73). 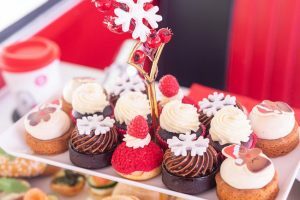 To book afternoon tea at the Montcalm Hotel, simply select the Book Now button and book on-line with our partners at Virgin Experience. 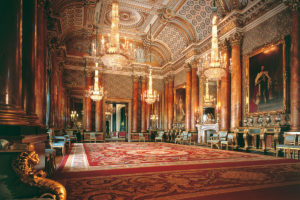 Be sure to check out our other offers for afternoon tea in London. 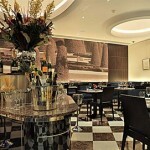 Afternoon Tea at the Montcalm Hotel: A delicious way to spend a gorgeous girls day out.